Stainless Steel Nesting Bowls perfect for preparing spa facial masks, mixing body scrubs or holding product. 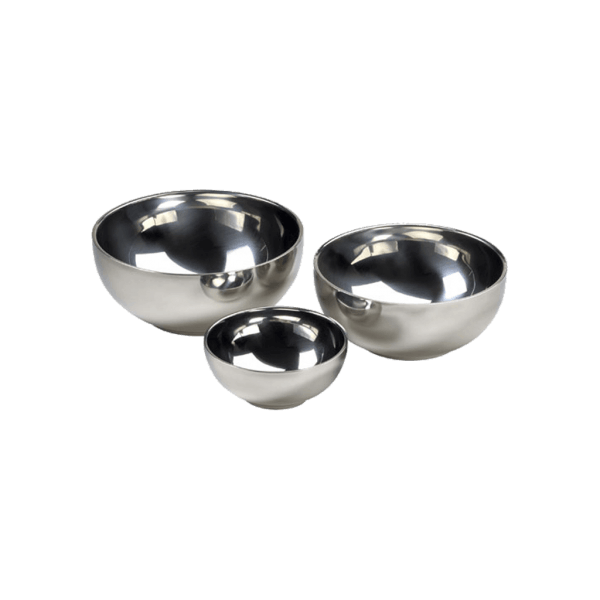 High quality, durable stainless steel nesting bowls. Mirror finish interior, satin finish exterior with a deep basin. Largest bowl is approximately 7″ in diameter x 2.75″ height and holds approximately 36 fluid ounces. The medium bowl is approximately 6″ in diameter x 2.25″ height and holds approximately 24 fluid ounces. The smallest bowl measures approximately 4″ in diameter x 1.75″ height and holds approximately 8 fluid ounces. * Prices subject to change without notice. Packaging subject to change. * Images are for representational purposes only. Please rely on description when ordering.